Crash spins into Screw Attack’s DEATH BATTLE!! “Attack on Titan: Lost Girls” anime promo says goodbye to Wall Sina!! 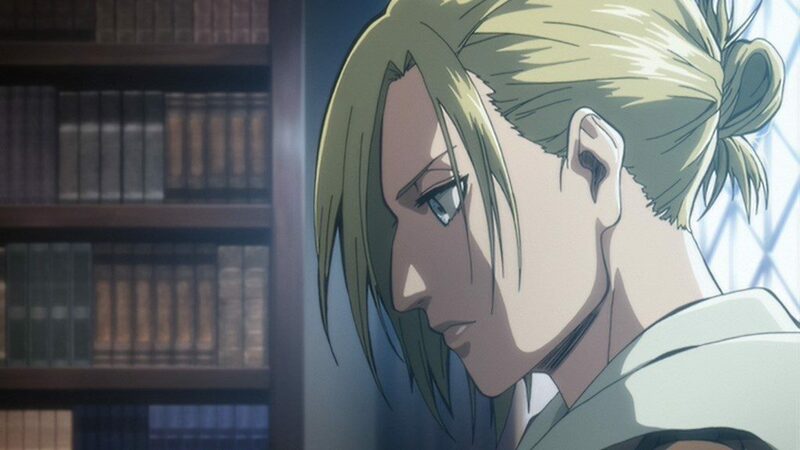 Annie’s story will be finished out in the anime adaption of “Attack on Titan: Lost Girl”, the light novel series spinoff of “Attack on Titan” that tells the story of Annie and Mikasa. The second half of the “Annie Volume” will be packaged with volume 25 of Attack on Titan which will be released in Japan on April 9. Mikasa’s story will be told in volume 26 when it releases in August 9. Attack on Titan: Lost Girls is a Japanese novel written by Hiroshi Seko, which is a spin off of Hajime Isayama’s “Attack on Titan” manga series. The manga adaption began serialization in August 2015 and concluded in May 2016. The novel is based off two mini-visual novels from Nitroplus. Seko expanded upon these and, in 2013, the first story, Lost in the Cruel World, was released on September 18. The second story, Wall Sina, Goodbye, was released December 18, 2013.